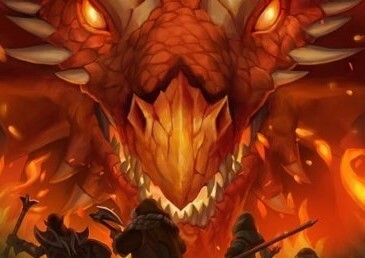 Dungeons & Dragons is the biggest name in tabletop gaming, ever. There's nothing quite like sitting around a table playing the game with friends, and there's such a depth of fantasy, magic, amazing settings and gameplay mechanics that it should be a no-brainer that the tabletop game would convert over to videogames. Once upon a time, this was true, too. Remember the likes of Baldur's Gate, Icewind Dale, and the SSI games from before then? Yes, once upon a time a new Dungeons & Dragons game was something to get very excited for. Then Atari happened and dragged the license into the dirt over a period of years. Atari has since lost the license, but the damage has been done and now the owners of Dungeons & Dragons, Wizards of the Coast, seems to have no idea how to get its premier franchise back into the mainstream gaming world. Case in point: its new effort is a free-to-play game that looks like it has failed to capture anything that Dungeons & Dragons fans like about the game. Warriors of Waterdeep has been developed by Ludia, and has every free-to-play mechanic you can think of; card packs, loot systems, the works, and then puts that into a turn-based combat system that looks nothing like any Dungeons & Dragons game I've ever played before. Waterdeep itself has been turned into a stock-standard hub environment where you take on "missions" - endless delves into turn based combat, where you get to make the occasional choice about which path to take. This Dungeons & Dragons skin therefore feels very tokenistic, and hardly captures the city of intrigue and adventure that you'd get if you were to play the real game. I'll try and keep an open mind about this when it launches later this year, but I have a real passion for Dungeons & Dragons, and it just kills me that there's no genuine efforts out there to do a proper, premium Dungeon & Dragons RPG. I want a developer to try and recreate the tabletop experience in a video game. Not shove the license into a stock standard monetisation model. Or, at the very least, if you're going to create a game called "Warriors of Waterdeep," get Koei Tecmo to make it using the Musou (Warriors) engine. Imagine how awesome that would be?